Introduction The United Nations Relief and Works Agency for the refugees of the 1948 war (UNRWA) provides educational services to school children registered as refugees in Syria, Lebanon, Jordan, the West Bank (including East Jerusalem) and the Gaza Strip. In the latter two areas it is responsible for the education of about a quarter of the Palestinian student body, with over 320,000 students in some 370 schools. As a matter of self-imposed policy, UNRWA uses in its schools textbooks of the host governments in its various areas of operation. That raises a serious ethical problem, since these books contain crude anti-Israeli, anti-Zionist and even anti-Semitic expressions clearly contradicting UNRWA’s defined neutral and peace-oriented character as a UN organization. Anti-Semitism in the Arab world is part and parcel of the current conflict, although its roots can be traced to earlier periods. As such, it exists in most Arab curricula. This is the case as well in the Palestinian one, though to a lesser extent, comparing to those of Syria, Saudi Arabia and even Egypt. That is so due, probably, to the fact that the Palestinian textbook publishing operation was partly financed by Western donor states. This assumption is based on an incident that took place in 2004 when the Palestinian Authority (PA) issued a history textbook for grade 10 in which the Protocols of the Elders of Zion were described as the confidential resolutions of the first Zionist Congress, held in Basel, Switzerland, in 1897. Following a report by the author of this paper in 2005, I was asked by the Belgian embassy in Tel Aviv to send them the relevant Arabic page accompanied by an English translation, and a few months later the PA issued a new version of the book without the said description. Since UNRWA uses the PA schoolbooks with no omissions or amendments, it actually becomes full partner of the PA anti-Israeli and, sometimes, anti-Semitic indoctrination. 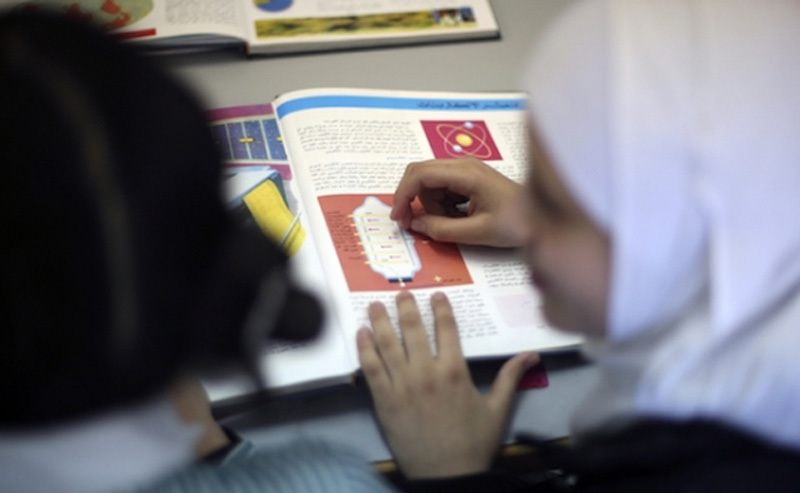 Anti-Semitic expressions in such schoolbooks have existed throughout UNRWA’s seven-decade activity, mostly within the context of the conflict, but also in the religious context. Read full PDF, click here.